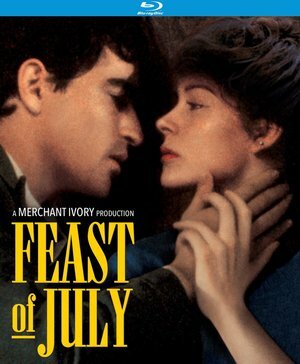 Visual aestheticism has never been a weak point for the Merchant Ivory production team and they certainly don't slack in their abilities with the sumptuous Feast of July. 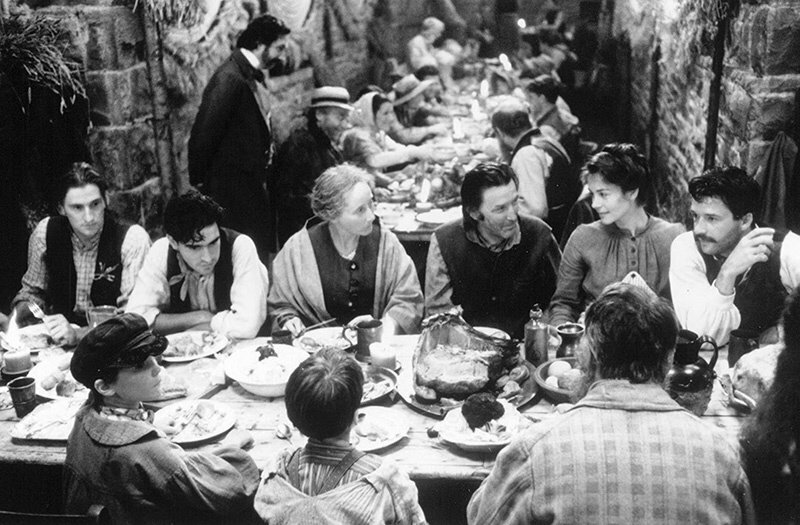 Left in the lurch by the movie-going public in 1995, Feast of July was probably one of the more demure productions to come out of the Merchant Ivory workshop. Based on a minor work by H.E. 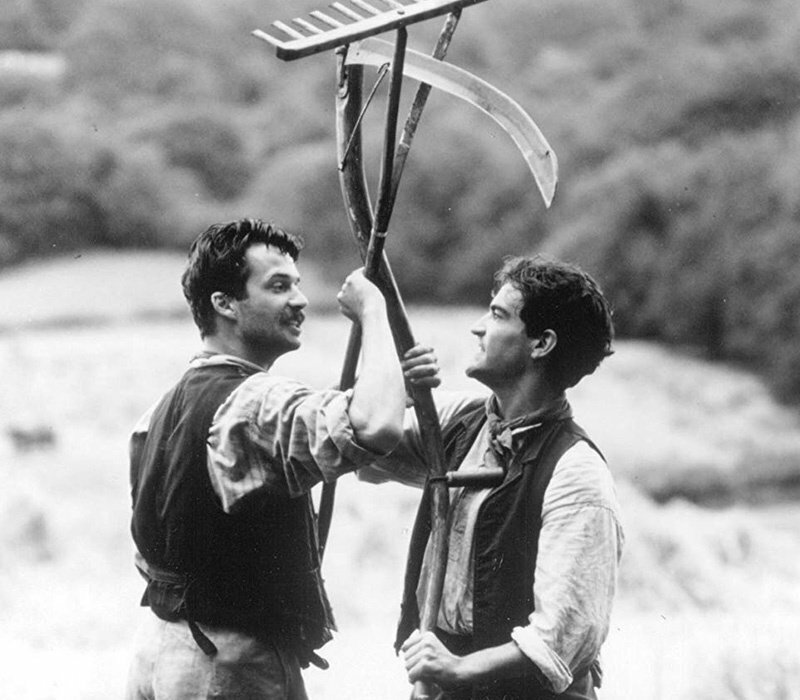 Bates, who wrote mostly charming and very British novels about the English working life, the film was further sidelined by its rather unenthusiastic critical reception. Time, however, has been kind to the film and it isn't really the forgettable fluff that the likes of Roger Ebert claimed it to be. Lifted considerably by its stunning panoramas and the attractive rendering of English country life, Christopher Menaul's period drama doesn't do much to extend the Merchant Ivory formula as it does to confirm its production value conventions; namely, impeccable costuming and sweeping vistas. It does, however, gain favour in its unfolding narrative of two doomed, star-crossed lovers; the film circumvents the typically mannered final third of a Merchant Ivory film for an unsettling collapse of English principles. There is blood and death and the tumult of wet melodrama in place of the supercilious and dry rushes that permeate such fare like The Bostonians (1984) and Howards End (1992). Feast of July is notable for its ripe performances by Ben Chaplin and Embeth Davidtz, two actors who were just coming up on the scene in the mid '90s. Davidtz, a lovely and gentle onscreen presence, had just come away from the Spielberg production, the epical Schindler's List (1993). Chaplin, not yet a name in 1995, followed in the succession of handsome, foppish British men who were acquiring much magazine space, as a dandified Hugh Grant had cornered the rom-com market in America at the time. The film had all the markings of another British crossover hit. So it's with some surprise that a production from the usually dependable Merchant Ivory team should have sunk as silently and quickly as it did. Perhaps it has something to do with the narrative's steep and unexpected emotional shifts, a dramatic transfer, which Ebert referred to as something out of a Wilkie Collin's novel and not at all the modest and modern Bates. Indeed, its story of a jilted, pregnant young woman who wanders into the homestead of a working class family sets up its premise of bucolic romanticism, the preserve of most English-lit classics. What we are received with, however, are tonal shifts which suggest a psychological thriller by its final third. It's this very unprecedented turn that may have put-off the film's initial viewers. But it's also the very factor that makes the work a compelling watch. Bella (Davidtz) buries a stillborn in an abandoned barn before finding shelter with a family of farmers. There, her shy demeanour captures the attention of the three young brothers who vie for her affection. Ruffled, at turns, by their conceit, tenderness and folly, Bella eventually succumbs to the charms of the diffident Con (Chaplin), who silently pines for the young woman while carrying out menial chores. Jealousies begin to rise and soon the three brothers are at each others' throats. Bella makes her romantic escape with Con, but tragedy soon rears its head and the two lovers find themselves on the wrong side of the law. You certainly cannot fault the Merchant Ivory production team for any unevenness in narrative, as the source material holds that culpability; it is, for the most part, a mostly faithful adaptation (the ending notwithstanding) that follows the emotional pitches of Bates' 1954 novel. Understandably, however, no audience likes a fictive rug unceremoniously pulled out from under them, which Feast of July admittedly does. The rungs, then, of the narrative on which to grasp the overall film are the performances themselves. Better to appreciate the emotional nuances of a more-than-capable performer than to have to react to a constant riverbending in storyline. Chaplin's twitchy, nervous Con makes for both a sympathetic and amusing watch – and a nice counterpoint to Davidtz's reserved and coolly detached Bella. As if to encase all this human drama in a pictorially generous span, the cinematic backdrop of a gorgeous English countryside (courtesy of cinematographer Peter Sova) gives good frame to the beautiful-looking cast. Visual aestheticism has never been a weak point for the Merchant Ivory team and they certainly don't slack in their abilities here. Kino Lorber's release features a lush and crisp transfer that beautifully realizes the verdant countryside landscapes. Because location scenery and costuming is a speciality of the Merchant Ivory team, visual presentation is a must, and this Blu-Ray release ensures that every shade of green on a tree and rolling hill is captured in full vibrancy. Dialogue comes through nicely and Feast of July features a pleasant soundtrack that swells orchestrally with pastoral English pride. Supplements include an audio commentary track with the director and associate producer of the film, providing some much needed info on a little-known and underappreciated film. The requisite film trailer is included as well. It may not be the best place to start if you're new to a Merchant Ivory film, but in the context of the production team's entire body of work, Feast of July stands out as a worthy curio, if only for being a slightly daring anomaly. Sure enough, the sumptuous backdrops often supersede much of the story and the jarring emotional shifts can be frustrating. But the performances are just as handsome as the landscapes that the actors inhabit.